The original ANDERIC RR-ST-01 for Roku Remote Control is in-stock and ships within 24 hours. 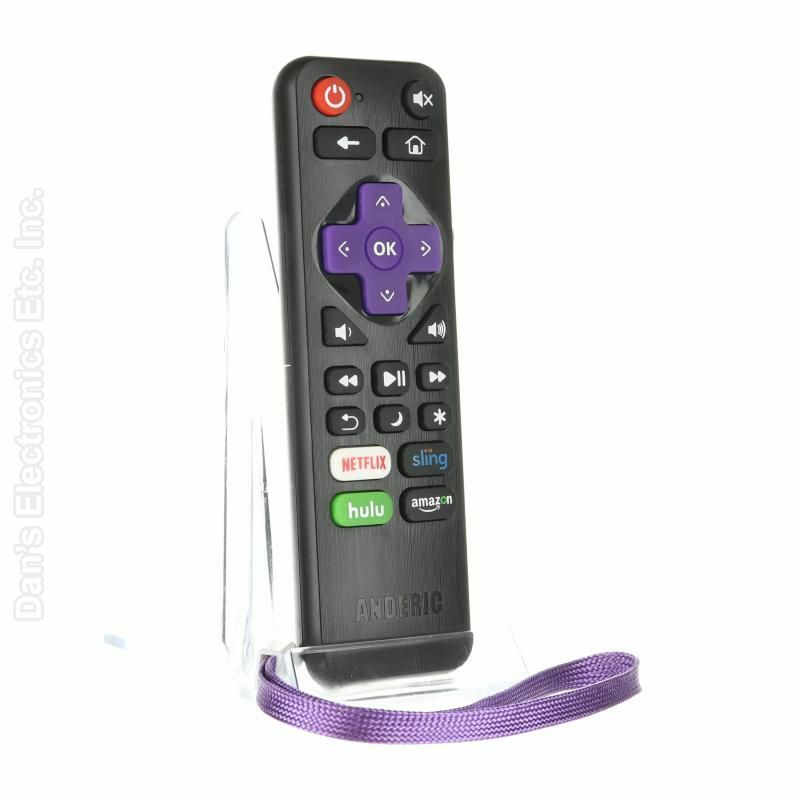 The original ANDERIC RR-ST-01 for Roku Remote Control carries a 1-Year Warranty. 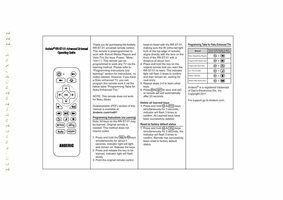 The Anderic RR-ST-01 remote control is ready-to-go for Roku Streaming Players (Works for Roku 1, Roku 2, Roku 3, Roku 4 (HD, LT, XS, XD), Roku Express, Roku Premiere, Roku Ultra IR) and works all Roku Enhanced TVs including Insignia, Sharp, Haier, TCL, LG, Element, Philips & Hisense! No programming is necessary, simply install batteries into this high-quality replacement Anderic remote control and you will be watching Netflix in no time. The RR-ST-01 is programmable to your TV or Audio System. The RR-ST-01 provides keys that the original Roku Player remote doesn't such as the POWER, MUTE, VOL+/-, and SLEEP keys (no codes needed for programming). We guaranteed compatibility, and we provide a 1-year limit warranty. 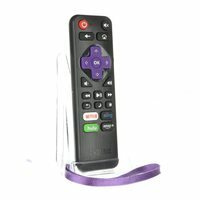 • This model does not work for Sharp Roku remote with the Game (controller icon) key. Instead, use newer RRST01.2; which will work. Works exactly as described. Easy to use and fast delivery. by Richard on February 17, 2019. This is not only a very good replacement for the standard Roku remote, all the additional programmable features of this remote (like mute, volume up/down and power on/off) are very useful in making this the only remote you will need. by Senthil on February 02, 2019. Works great! Good quality and no problems setting up. by Jeana on January 08, 2019.
by David on December 06, 2018. Sooo simple to program. Now there is a button for everything!! It is very lightweight. No need to set it down! Wife loves it too. We have 4 of them now. Built out of tough plastic. Nothing cheap here. by Paul on November 19, 2018. Excellent remote. easy to program. by Craig on November 16, 2018.
by diniz on November 05, 2018. Does exactly what I wanted - controls the TV as well as my Roku 3. It sometimes doesn't respond when I press keys on the remote - think it is the Roku box and not the remote. by Patricia on October 30, 2018. Perfect!! I bought for my mom so she won't have to juggle remotes when using the Roku. Works wonderful and is very easy to program. by Karen on October 16, 2018. Excellent product, exactly what I was looking for; easy to set up and works perfectly. by DAVID on October 06, 2018. The remote was easy to program and works well. Would recommend this remote. by William on July 09, 2018.
by Angel on July 05, 2018.
by jack on July 04, 2018. I enjoy my Roku remote. My only quibble is it is very sensitive to pointing direction. by Michael on May 05, 2018.